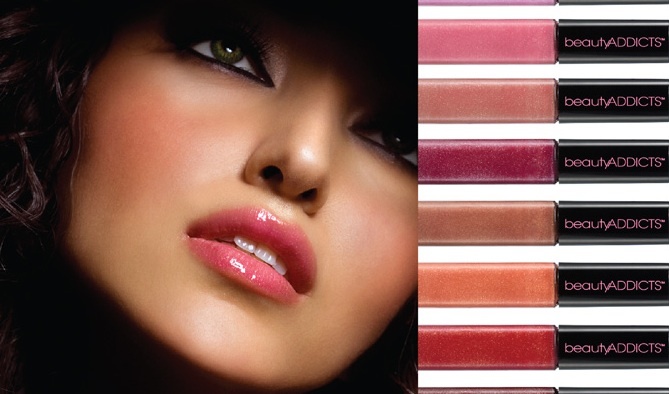 Aurelio Salon and Spa offers professional makeup services and products at the salons in Howell NJ. Our makeup artists are trained for bridal makeup, prom makeup, lessons, applications, and more. Refreshers are available with any spa service. Aurelio Salon uses Beauty Addicts products which are known as being a cult hit with models, athletes and other fashionistas. Some Beauty Addicts addicts are Stacey Kelbler, Brook Hogan, Ally Sheedy, Kathy Griffin, Alfre Woodard, Mya, Sharon Stone and Zooey Deschanel to name a few. Beauty Addicts makeup products are made of a blend of pigments and minerals that make crystals that form a filter that protect the skin while allowing it to function normally and breathe. It is formulated with a mix of the best minerals, botanicals, and vitamins ( like Ginseng Root Extract, and Vitamins A, C and E as powerful anti-oxidants.) on the market combined with advanced scientific anti-aging technology. All of these are combined for every women’s lifestyle! The cosmetics have such a strong staying power that you rarely need a touch up during the day even during the most strenuous exercise. Made with their Microsphere Technology, it helps diminish the look of fine lines for an instantly more youthful appearance. The Moisturizers are mineral-based, as well as oil-free, with an SPF 20 to protect the skin while appearing flawless and radiant! You Look Marvelous – Finish the look after getting your hair done with this makeup application. Her Most Important Day – This is one less thing you have to do on you important day. Let our makeup artists look your best. Bridal application and bridal party applications are available. Proms and Special Occasions – Aurelio Salon offers applications to customers going to proms or any other special occasion. Lash and Brow Tinting – We match your eyebrows to your color with brow and lash tinting as well as extensions that make them longer. Learn more about the professional makeup services we offer at Aurelio Salon to customers on our menu. Read about the hair styling services to women as well as coloring services that you can get at the Howell location. You can find out more information about what’s new or read about us on our blog. Gift the gift of beauty with one of our gift certificates available in any denomination. Click on our Book Now Link for general Services and Prices. Call the Salon for info on the fill range of services we offer. Call Aurelio Salon in Howell at 732-303-0052 to learn more about the makeup services and products we offer to customers.